Springtime again! 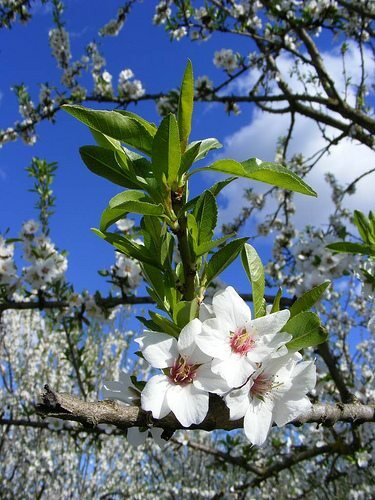 And who can resist the call of the sun, leafing trees, beautifully blooming flowers? Our response is deep-seated. Rooted in our genetics is a love for nature, for the beauty of natural settings. It came early this year, too, with record high temperatures across the country. In Denver, in March, we walked about in shorts. I couldn’t help but think, If it’s 80 degrees now, what’s it going to be like come August? Yet a recent poll on Americans’ policy priorities, environmental issues ranked at or near the bottom of the list. Back in the 1990s, while doing environmental education work for the National Science Foundation, I discovered a challenging paradox: If you educate people about the seriousness of this issues without showing them how to help or at least have a sense of control, they either dissociate or go into denial. Lynea has observed this, too, in the classroom, with students often reporting generalized anxiety and fear after typical environmental ed. units on endangered animals and the loss of rainforests. There’s a sense of hopelessness. Too many environmental commandments begin “Thou shalt not…” Our negativity has prevented our ideas from catching on. Conservation, as an ethic, is not particularly contagious. So even when we’ve been right, we have not inspired Action. If we want to involve people in the process of forming a collective vision, we need a different approach. We will not engage the great engines of human creativity with a vision of pure frugality. We need to plan for beauty and abundance. And what does this have to do with yoga? Plenty! At its root, yoga is a wellness system. The goal? To develop a healthy body, mind and heart. To achieve this, yoga develops awareness of how your thoughts, emotions and actions affect your life. Guided by the process of self study, yoga students typically notice that yoga makes them feel better and learn how to change their actions to promote greater health. These same processes of observation, feedback and change apply to the study of the environment and the body as a metaphor for the “living” earth. Love is a key motivating factor, stemming from children’s inherent fondness for – and appreciation of – the beauty of animals and the natural world. We need to get them outside more so they have opportunities to connect with nature, even if just in the form of street trees, city birds or bugs in a schoolyard playground. As we nurture children’s innate attraction to the environment, they undoubtedly ask about how things work. Curiosity and observation – the heart of the scientific method – become the springboard to science, and thus to Knowledge. With this as the foundation, stewardship – taking care of what you love – is a natural outcome. Love and Knowledge manifest Action. Yoga provides a route to this learning. From the concrete to the abstract, with young and old alike, yoga practices are often inquiry-based. They’re about asking questions, observing, developing curiosity and exploring how things work. They’re also a means of opening the senses, helping us calm down and develop concentration, focus. These skills are particularly important in field science, where, for example, we must be still to observe wildlife. Only then can we observe nature under “her” terms. We’re also more tuned in to the feedback of our actions in the natural world. For at its most basic level, yoga is about studying “relationship” and creating “beauty.” It’s about how we relate with ourselves, each other and our environment to create more joy and happiness. From ecology to physics, realizing that everything is related is also the scientist’s first step in a lifelong quest to understand how and why things work the way they do – the mysteries of life. Finally, healthy individuals contribute to healthy communities. Yoga philosophy encourages nonviolence, compassion and a reverence for the natural balance of the world. Done in the context of community and the natural world, yoga enhances both individual and community health. This attitude and approach is embodied in our newest course, Love, Knowledge & Action: Inspiring Environmental Stewardship. 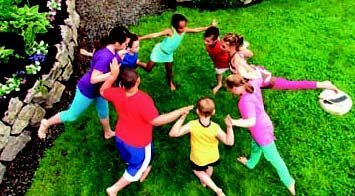 Through exploring techniques of physical yoga, observation and reflection, social/emotional skills-building, storytelling and simple school and backyard explorations and science lessons, teachers, counselors and environmental educators will learn how to cultivate children’s innate curiosity and appreciation of their bodies, animal life and other aspects of their natural, daily environment. 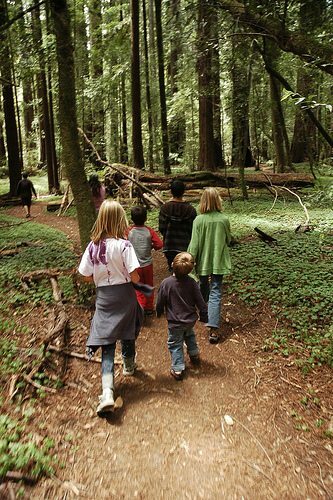 In addition to cultivating this sense of stewardship, of course, getting kids outdoors and moving supports both their physical and mental health. National studies have also shown that using environmental ed. as an integrating concept – both experientially and cognitively – improves student learning in math, science, social studies and language arts. But perhaps most important, is the simple recognition that our humanity is linked with nature – that the natural world is a miraculous gift and blessing that benefits us every day, not just April 22. For while the environmental problems we currently face are big, they’re not insoluble – not when we harness the full power of human imagination and community to create a positive vision for our future and act on our love for Earth, our home. The course handbook for Love, Knowledge & Action and related lesson plans will soon be available online through our store. Want a sneak preview? Email us at info@yogacalm.org for an excerpt and sample lesson plan. To register for the May 12-13 session of Love, Knowledge & Action, click here.